Deepen your time in Scripture! Has this ever happened to you? You grab your Bible and favorite drink to have a meaningful quiet time, but instead, you read a few paragraphs and... nothing. You don't understand what you are reading or how to apply it. It has made no real impact on you, and you don't feel closer to God or more comfortable approaching the Bible. 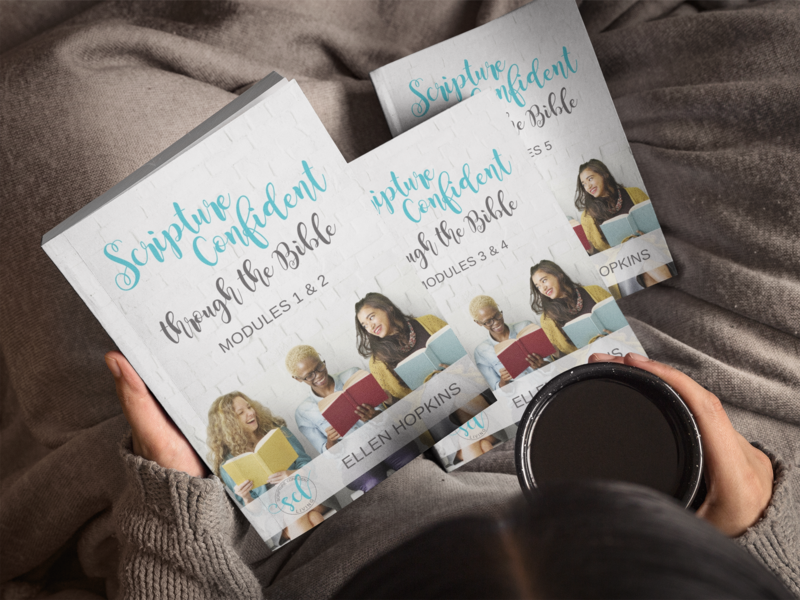 Let me introduce you to the Bible study series that changes all that: Scripture Confident through the Bible. It takes you on a journey through the Bible's story (so you'll truly be able to read Scripture in context) and teaches you all the Bible study methods you need along the way. Feel more comfortable digging into Scripture on their own. Finally understand what they are reading and how to apply it. Spend meaningful time in God’s Word that goes beyond routine and encourages life change. And now, you get a chance to test-drive this series - no purchase required. Sign up to receive the first 3 weeks of this Bible study for free. You'll receive a digital copy of the study guide and access to all relevant bonus videos and timelines weekly as you study. Get ready to fall in love with your Bible time. *By signing up, you consent to receiving emails from Scripture Confident Living. Woot! The first 3 weeks of the Bible study are on the way to your inbox! Watch for another email with bonus material like videos, timeline graphics and more. Your quiet time will become the favorite part of your day as you spend meaningful time in God's Word all while learning how to study the Bible on your own. What does that mean for you? Endless powerful Bible study moments are in your future. Do you prefer studying with a physical book? Skip the printed-paper mess and purchase the paperback copy of the study guide. 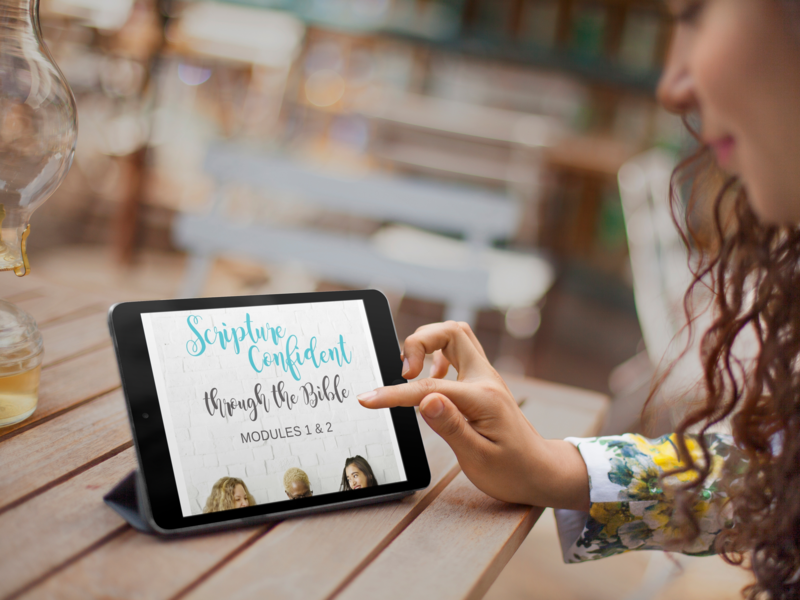 Get $7.50 off your purchase when you buy Modules 1&2 of Scripture Confident through the Bible right NOW for $17.50 $10. Yes, send me the paperback copy! This is your path to independent Bible Study! Don’t worry; I break everything down into small steps and provide lots of help, so you’ll be able to follow along without a problem. In each lesson, learn a new Bible study method that builds on the previous one. Study the Bible with the reliable Observation, Interpretation, Application Bible study method that even pastors and scholars use. Each lesson includes a no-fluff Bible study guide. These lessons start out very guided - just like most Bible study guides you’ve used. Then, I slowly step back and let you take over the study process. You'll be more than equipped to do so. Discussion questions and other resources allow you to explore this study with a friend or group. You won’t read the Bible cover to cover. Instead, you will dig deep into hand-picked passages that will give you a full view of the Bible’s storyline. Knowing God's journey with His people will allow you to understand every Bible passage more clearly. Bonus: You'll get access to summary videos and historical timelines that will ensure you continue to see the big picture.